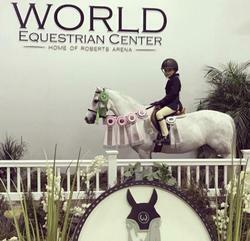 Oakley is thirteen-year-old small welsh pony. 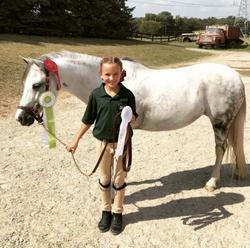 Oakley has been everywhere and back and would make a great pony for any kid who wants to learn! She jumps around, swaps her leads and is great at horse shows needing barely any prep. Oakley is super quite, comfortable to ride and needs little maintenance. 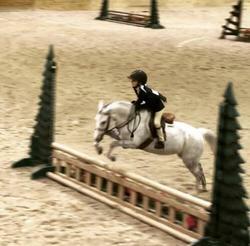 She would be great for a kid looking to do cross poles or short stirrup. 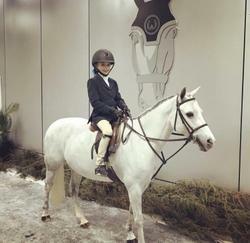 Bigeq.com was invaluable in leasing our pony! Thank you for the efficient website and wonderful service you provide. We will certainly use you again for buying and selling.